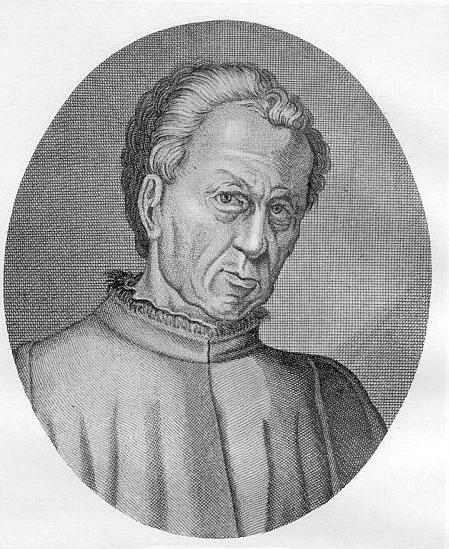 The following two anecdotes appear in the work of Poggio Bracciolini (57-58). Ingenious retort of Dante, the Florentine poet. Dante Alighieri, our Florentine poet, received for some time at Verona the hospitality of the elder Cane della Scala, a most generous prince. Cane had ever in his company another Florentine, a man without birth, learning or tact, who was good for nothing but to laugh and play the fool. His silly jokes, for they were not worthy the name of wit, so pleased Cane that he made him rich presents. Dante, a man of the greatest learning, modest as he was wise, regarded this person as a stupid beast, as he had reason to. ‘How does it come to pass,’ said one day the Florentine to Dante, ‘that you are poor and needy, you who pass for learned and wise, while I am rich, I who am stupid and ignorant?’ ‘When I shall find,’ replied Dante, ‘a master like myself, and whose tastes are similar to my own, as you have found one, then he will enrich me too.’ Excellent and just reply; for the great are ever pleased with the company of their like.